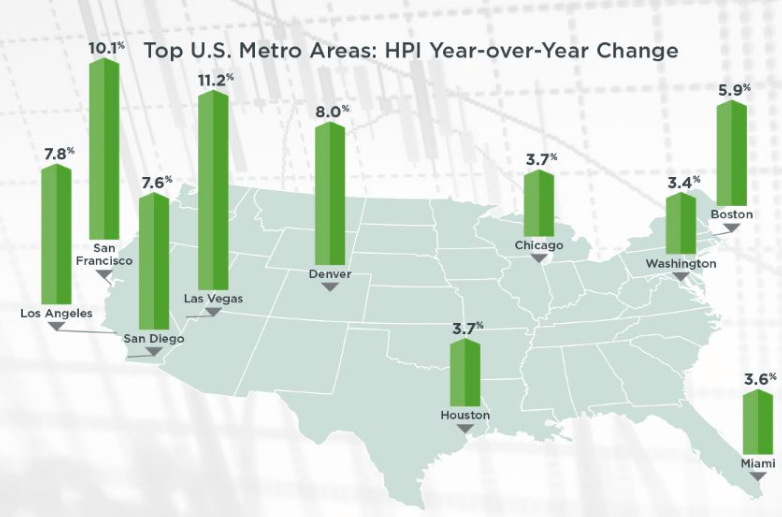 CoreLogic today released its Home Price Index (HPI) and HPI Forecast data for December 2017, which boasted 6.6 percent year-over-year growth. December is the fifth consecutive month with year-over-year increases measuring more than 6 percent. Gains were modest month-over-month at 0.5 percent. CoreLogic chief economist Dr. Frank Nothaft says rising income matched with consumer confidence and low inventory will continue to result in skyrocketing home value appreciation. 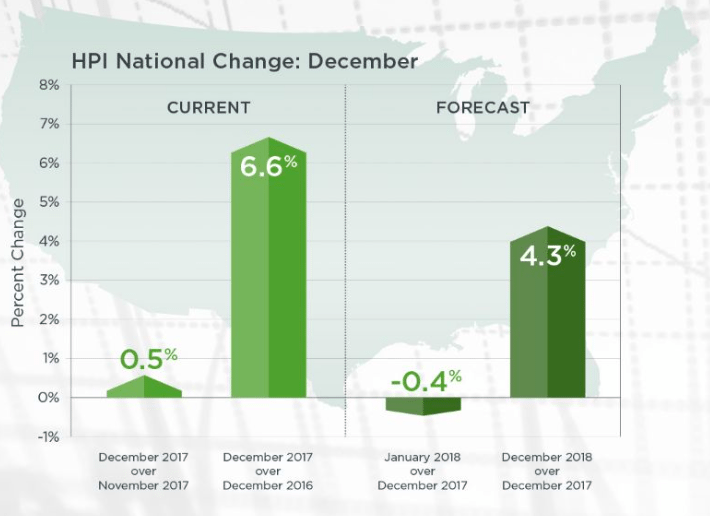 Looking ahead, home prices are expected to increase by 4.3 percent year-over-year by December 2018 and decrease by 0.4 percentage points in January 2018. According to CoreLogic’s Market Condition Indicators (MCI) data, 35 percent of the nation’s 100 largest metropolitan areas have overvalued housing stock. Another 28 percent were undervalued, and 37 percent are at value. The MCI analysis categorizes home prices in individual markets as undervalued, at value or overvalued by comparing home prices to their long-run, sustainable levels, which are supported by local market fundamentals such as disposable income, explains CoreLogic. Las Vegas was the most overvalued market with an 11.1 percent year-over-year increase in single-family home prices. Denver, Los Angeles, Miami, Washington, D.C., and Houston were also overvalued with home price growth ranging from 3.6 to 8.0 percent year-over-year. San Francisco, Boston and Chicago were at value, with home price growth ranging from 3.7 to 10.1 percent year-over-year. CoreLogic president and CEO Frank Martell says affordability will continue to erode as home prices and the cost of originating loans rise, making it hard for first-time and lower-income buyers to enter the housing market.